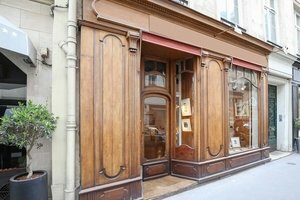 This characterful gallery in the highly sought after area of Palais Royal is perfect for Art Exhibitions, Showrooms, and Pop-Up Stores. 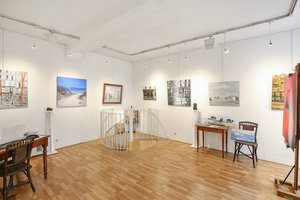 The gallery boasts a beautiful frontage finished in a polished wood with tasteful display windows. The interiors are quintessential to the area and with exposed stone accents, white walls and wooden floors. Bright adjustable spotlights create a well-lit ambience and the atmosphere her is cozy and welcoming. 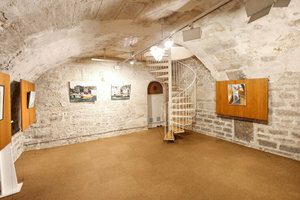 The space is divided over two floors, the main room at ground floor level and a second room at basement level which can be used as an extension to your pop-up or a storage area. 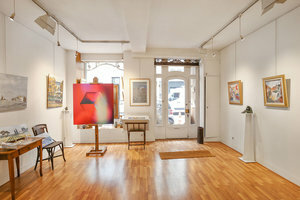 This space is extremely well-located in the centre of Palais Royal and benefits from high foot traffic in a magnificent environment.